I’ve watched with fascination as readers have grown more interested in literature set in places you wouldn’t always expect–such as my own country, New Zealand. I am so glad that this has become accepted, even popular. This week we feature Grace Bridges and her novel Earthcore Book 1: Rotovegas in Lorehaven Book Clubs. Stop by the flagship book club on Facebook to learn more about this story. I even set my first series in Ireland because back when I first started writing it. There was a feeling that setting this series in New Zealand would be too “far-fetched.” This idea has persisted in the literary world for too long. I have even heard of writers asked to revamp their entire story to set it in the USA rather than New Zealand, and it nearly made me cry. Fortunately, popular stories like the Lord of the Rings movies have helped boost interest in New Zealand, and there is a greater general acceptance of “World Literature” as its own genre. Click here to purchase Earthcore Book 1: Rotovegas on Amazon. New Zealanders feel a strong sense of identity with our unique culture, and I wanted to convey that in my Earthcore series. The fantasy genre is already full of tales from other mythologies. Think of Thor and Loki, or Nessie, or Zeus and the rest of the Greek pantheon, all the way to tales of mermaids, leprechauns, dragons, Bigfoot, and the jackalopes and chupacabra of America. All of these have their own cultural origin, but most have become so widespread that it’s sometimes easy to forget where they came from—and with their familiarity has come acceptance by a wide variety of believers. Our mythology is relatively little known outside New Zealand, so I have introduced it here for the urban fantasy reader. Enter the taniwha! Pronounced “TA-nee-fa”, this is one of the creatures in Māori lore. It’s often represented as a dragon, though it can be a bird, animal, or sea creature as well. The main difference from regular dragons is that the taniwha is invisible. It can be understood as a sort of guardian, most often described in connection with a place or people that it watches over, and the word taniwha is also used for a tribal chieftain. So they are very rooted in a sense of place, often having attachments to springs and rivers and mountains. In my Earthcore stories, I expanded this a tiny bit to allow the taniwha to give supernatural powers to people when they are exposed to certain springs, or sometimes just from breathing the mineral-laden air near a geothermal fissure. Of course, this was the perfect excuse for me to write about one of my favourite places: Rotorua.1 My dad was born there and I’ve spent a lot of family holidays there over the years, so I feel a solid connection. Plus, Rotorua is one of the most geothermally active places in the country. You can’t go very far in Rotorua without running across steam rising from someone’s backyard or even from the drains in the street, or boiling ponds in the city park. Anyone planning some digging in Rotorua needs to be kind of careful. The north end of town abuts the volcanic crater lake with its Sulphur Bay and beaches where you can dig down to hot seepage in the grey pumice sand. At the south end is the thermal arena of Whakarewarewa Village, where houses are dotted among the blubbering mud pools and regularly-performing geysers. Yeah, gotta watch where you walk. All these things feature in my stories, not as mere settings but as sources of supernatural gifts. As a friend once observed, the place was just begging for a superhero story to be set there. Because my stories are set in the present day, I can describe the city and its sensory peculiarities just as I’ve experienced them, so that reading can give you the next best thing to an actual visit. Of course, I’ve never seen a taniwha, nor do I really expect to, but it’s fun to imagine, isn’t it? Some Christians may be uncomfortable reading about mythological creatures. But I don’t believe there is anything to fear from stories about dragons, or Bigfoot, or mermaids, or taniwha. Let’s free our imaginations to soar or stomp or swim with legendary beings, and through them, to experience a fresh sense of wonder at the world around us. 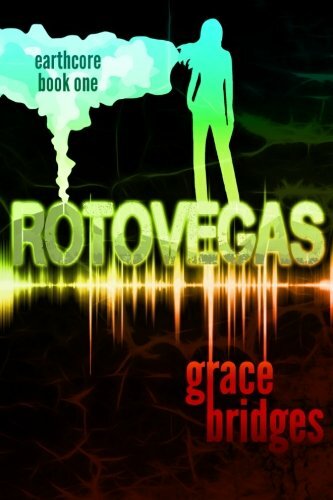 Explore Grace Bridges’s novel Earthcore Book 1: Rotovegas in the Lorehaven Library. During the Middle Ages people were very religious–though sometimes it devolved into superstition. This was the era many mythical creatures come from. Looking askance at fantasy wasn’t just the effect of the Reformation/Puritanism but the Age of Reason and Classicism carried to extremes. The Bible includes mythological creatures, like Leviathan, from the Ugaritic LTN.